Why Give to the Missions? Your donation is vital to the Missions. Funds that are donated to the Pontifical Mission Societies can be more far reaching and therefore more helpful than those given to one organization in one locale. It is through your generosity that the Pontifical Mission Societies allows Missionaries serving in the 1,111 dioceses around the world to be able to reach out to those in desperate need, bringing the message of Christ. 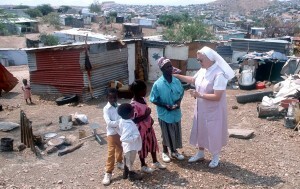 Sister Ingrid visits the poor in Katutura, Africa. Your donation helps promote justice and by doing helps us in our living out the Gospel in our lives. Your donation brings a future to all those living day-to-day, wondering what will happen next. 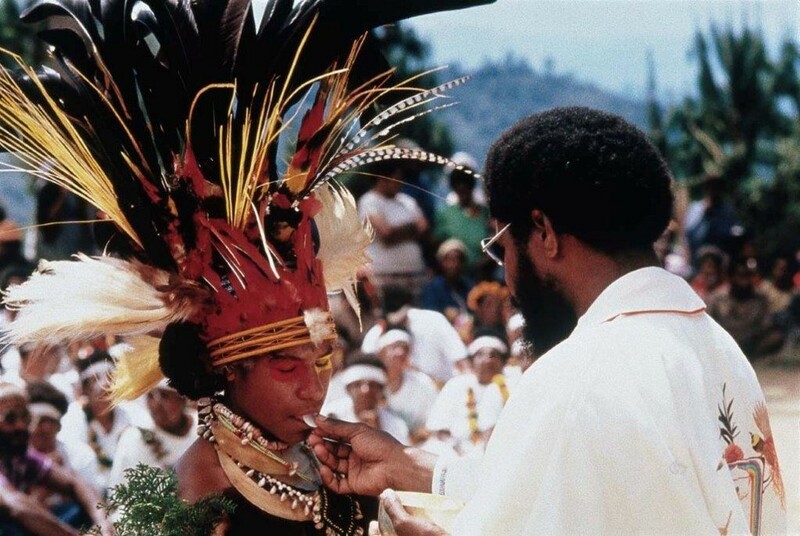 Your donation brings thankfulness from the Missionaries who take action beyond themselves and help others, from those most in need as they face their daily challenges, and from the Pontifical Mission Societies. Your donation brings. . . thankfulness that we, through your generosity, are able to continue the work of Jesus. Father Tim Lehane, former Secretary General of the Pontifical Mission Societies reflects on the meaning of being Missionary. This is from Zambia Easter ceremony of Holy Saturday, 2009. Interview with Father Timothy Lehane was recorded during the General Assembly of the Pontifical Mission Societies in Rome, 2010.